When the body of a murdered man literally falls at Elizabeth Stuart's feet, she's able to wash away the blood--but not the terror. Unwelcome newcomers to Still Creek, Minnesota, she and her troubled teenage son are treated with suspicion by the locals, including the sheriff. Yet nothing will stop her from digging beneath the town's placid surface for the truth—except the killer. Running from a messy divorce, Elizabeth believed buying a small-town newspaper offered a fresh start for herself and her son. But idyllic Still Creek, nestled in the heart of lush Amish farmlands, hides secrets dangerous enough to push someone to commit murder. Now Elizabeth must risk everything to save herself and her son, and to unmask the killer...before the current of evil flowing through Still Creek drags her under. When Elizabeth Stuart searched for a quiet, peaceful home for herself and her son, Still Creek seemed perfect. Nestled in the heart of lush Amish farmlands, this small, idyllic Minnesota town would allow her to put a shattering divorce behind her. But the locals were noticeably cool to the newcomer—who was rumored to be a gold-digger—especially when she started stirring up controversy with her newspaper. And now when a murdered body literally falls at her feet, she has a slight credibility problem...particularly with the arrogant sheriff whose blue eyes seem to know her darkest secrets. An ex-pro athlete who had returned to Still Creek a hero, Sheriff Dane Jantzen doesn't have much use for the media—especially not in the form of this glamorous, gutsy outsider who spells trouble with every word she prints. So when she becomes his suspect in a vicious crime, the last thing Dane expects is the jolt of attraction at their every encounter. 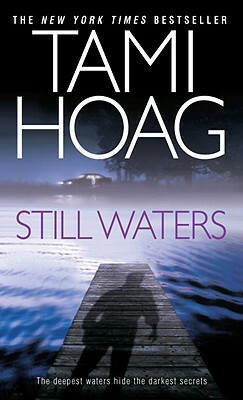 Tami Hoag's novels have appeared regularly on national bestseller lists since the publication of her first book in 1988. She lives in Los Angeles.